. To buy or sell a Property in Thailand it is highly advisable to seek the assistance of an attorney expert in due diligence and coneyance. Registration in foreign name. Registration in Company name. Registration, due diligence and conveyance of land, houses and condos. With the full guarantee of our law office known and listed by major European embassies. Buying a property for your own use or as an investment can be a very good deal in Thailand especially in consideration of the law taxes. However it is of paramount importance to be assisted step-by-step by a competent law firm. His Grace the Property and His Excellence the....Chanot. or.... give me the cat...I give you the pig... how to safely acquire a property in Thailand. Please note. This article intends to provide useful and essential information in order to help and protect any foreigners should they ever wish to purchase a real-estate property in Thailand, but this article cannot be a substitute for the assistance of a competent lawyer. All real estate properties: land, houses, condominium units etc., in Thailand are registered at the pertinent "Land Office" which will deliver a beautiful, large document, the Title Deed, printed on light brown cardboard, a sort of official extra-large "monopoly's" card. On the back of the Title Deed there are clearly printed the names of all previous owners as it will also include the name of the new owner once the registration is completed. There are several kinds of Title Deed but only one will guarantee the full right of property and deserves the name of His Grace the "Chanot". The Local (pertinent) Land Office will deliver it immediately to the new owner, as the transaction would have been properly registered. Still nowadays in a super technological world, most of the transactions related to real estates in Thailand are executed following the ancient Thai proverb: "yeun meu, yeun muu", equivalent to the English "cash on the barrel" or translate literally into English "give me the cat and I give you the pig", as the payments are completed only when the buyer has the Chanot in his/her hands. In the olden times, not so olden to be honest, the person holding the Chanot, was de facto the legitimate owner of the land. Just like in the game of Monopoly, with no need of further procedures. All this seems, and partly is, extremely reassuring. Unfortunately, however, things are never so simple. First of all there is not just a single kind of title deed, but only one can, with legitimacy, be called "Chanot": the Nor Sor Si Jor. 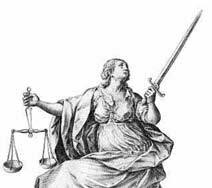 It is the only title that, once we have proceeded to a meticulous due diligence, would guarantee to the owner full rights over the property, as they say usque ad sidera usque ad inferos, with a few exceptions. 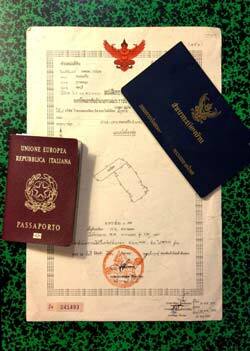 A foreigner should buy only properties registered on His Grace the Chanot disregarding the fact that, in many cases, the Thais still buy and sell properties, sometimes of very relevant value, without such a title deed and, in some cases, even lacking any titles at all. This is something that a foreigner should never-ever think about, even if reassured by a horde of family members or friends. I would say that the farthest a foreigner could dare to go is the "Nor Sor Sam", a younger brother of the Chanot that usually can follow the brilliant career of the elder and acquire the status of Chanot itself. The Nor Sor Sam is related to a plot of land of which borders with its neighbors have not been precisely defined yet by the Land Office. Simply put, it is not a full title deed, but it can be upgraded with a 30 day public notice before the sale to consent to the neighbors to raise objections as the sale of the land might be part of their plot of land. But be careful, beyond the two noble brothers, there is a plethora of titles looking to foreign eyes exactly as His Excellency the Chanot, but assuring not rights at all, especially to foreign nationals. A blatant example is the So Bo Kho, a title that cannot be transferred or sold and that it only ensures the right to grow crops (which is forbidden to foreign nationals) with absolute ban on building. Furthermore do not forget that a Chanot can be easily forged by expert scams. 1) Order a meticulous due diligence. 2) Ask for a copy of the Chanot and a copy of the ID of the previous owner . 3) If the previous owner is married, demand the spouse to come along and sign. 4) Check at the Land Department if the property is still registered with the name of the seller. 4) Demand to sign a proper sale-purchase contract drawn up by a trusted legal office, properly signed on any pages and by two witnesses, possibly resident in Thailand. (For further information read our article "His Majesty the Contract"). 5) Pay only with traceable forms of payment, such as bank checks and bank transfers. 6) Remember that the real estate agents can not be held responsible for possible scams of the sellers. The due diligence is a burden that shall be the obligation of the buyer. 7) Seek legal assistance whether you wish to buy or to sell a property especially if the property is in the name of a company. Let's go back to the "good News". For a start the "Due Diligence" and the related conveyance practices are not expensive in Thailand. With the assistance of a competent lawyer, you can secure the property in your or your company's name in a matter of a few days if not a few hours. The taxes on real estate properties are very reasonable, far cheaper than in the West. The transfer fee is only 2% of the estimated value, and the return in rental revenue can be gorgeous especially in a tourist town as Pattaya. In other words...come, buy the home of your dreams and enjoy it, but be vigilant... at least as much as you would be in your own country!